You’ll find outdoor adventures like scuba diving in Okinawa, Japan, to exploring the Tien Shan Mountains of Kazakhstan and Kyrgyzstan. These photos will make you want to travel to Sri Lanka where wildlife, UNESCO sites, beaches, culture, food and friendly people await. Okinawa, Japan is a bucket list worthy destination that divers, water sport, and nature lovers will thoroughly enjoy. Malaysian Borneo still stands out in my memory as one of my favourite places in the world for experiencing unspoilt nature up close. Getting within sniffing distance of tiny wild piglets, watching proboscis monkeys, seeing rare orangutans - are unforgettable experiences. Malaysian Borneo still stands out in my memory as one of my favourite places in the world for experiencing unspoilt nature up close. Getting within sniffing distance of tiny wild piglets, watching proboscis monkeys, seeing rare orangutans – are unforgettable experiences. Diving in Okinawa, Japan offers you so much beauty in its crystal clear waters. You'll find coral, sea turtles, manta rays, whales, and so much more! Diving in Okinawa, Japan offers you so much beauty in its crystal clear waters. You’ll find coral, sea turtles, manta rays, whales, and so much more! Ever wondered what Kyrgyzstan is like? 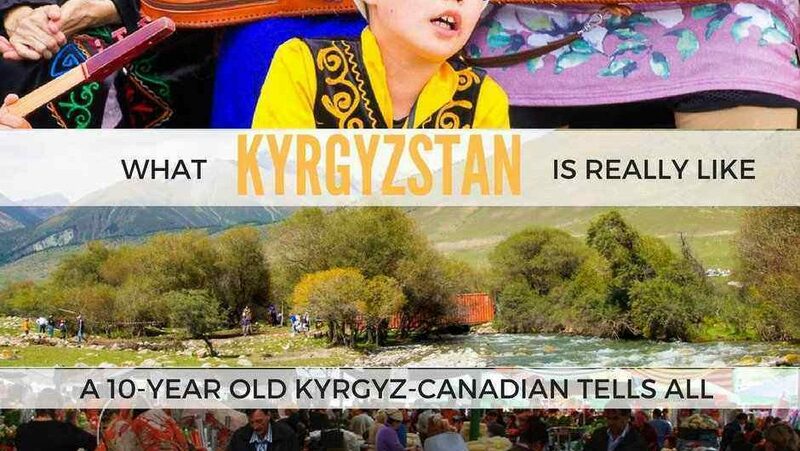 Find out what this Central Asian country has to offer visitors and where it could improve according to Gerda, a10-year old Kyrgyz-Canadian who returned when she was 8 years old. Kyrgyzstan is one of the most beautiful countries I've ever travelled to. It's perfect for mountain and nature lovers who are seeking tranquility. Kyrgyzstan is one of the most beautiful countries I’ve ever travelled to. It’s perfect for mountain and nature lovers who are seeking tranquility. 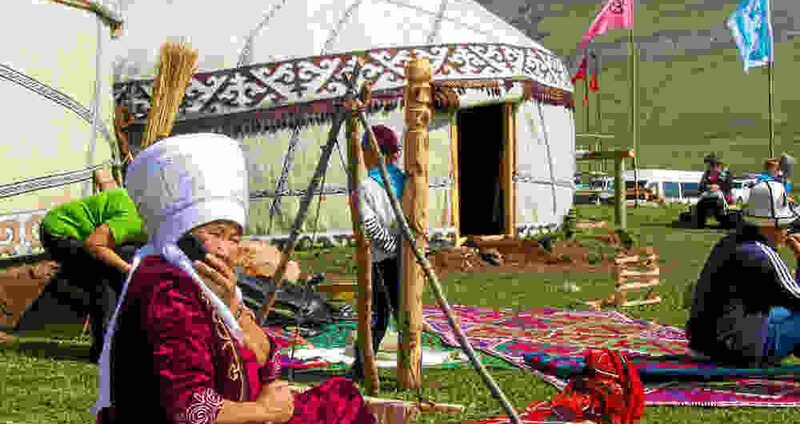 The World Nomad Games are an incredible event held in Kyrgyzstan that celebrates nomadic culture. My 19 travel tips help you make the most of your time. Ever heard of a camel shepherd? I hadn't until I had the privilege of meeting one in Kyrgyzstan who told me these fascinating facts about camels! Ever heard of a camel shepherd? I hadn’t until I had the privilege of meeting one in Kyrgyzstan who told me these fascinating facts about camels! The Tien Shan Mountains is one of the best mountain ranges that you can visit if you're seeking solitude. Whether you're a hiker, trekker or mountaineer, you'll have over 10,100 square kilometres of mountains to discover. And much of that to yourself. You may not see another hiker or mountaineer for days, or even weeks in the more remote parts. The Tien Shan Mountains is one of the best mountain ranges that you can visit if you’re seeking solitude. Whether you’re a hiker, trekker or mountaineer, you’ll have over 10,100 square kilometres of mountains to discover. And much of that to yourself. You may not see another hiker or mountaineer for days, or even weeks in the more remote parts. Almaty, is the cultural centre of Kazakhstan, offers gorgeous views of the Tian Shan Mountains & you can dine in a yurt! It's a unique travel destination. Almaty, is the cultural centre of Kazakhstan, offers gorgeous views of the Tian Shan Mountains & you can dine in a yurt! It’s a unique travel destination. Everyone goes to Yala in Sri Lanka to see a leopard. But to make the most of your visit, focus on the wildlife that you do see. I guarantee there will be some happy surprises! A customized experiential travel itinerary created by Ayu in the Wild is a fantastic way to not only see Sri Lanka, but to interact with locals! Practical advice on how to prepare for an Ayurvedic retreat so that you can get the most from your stay.